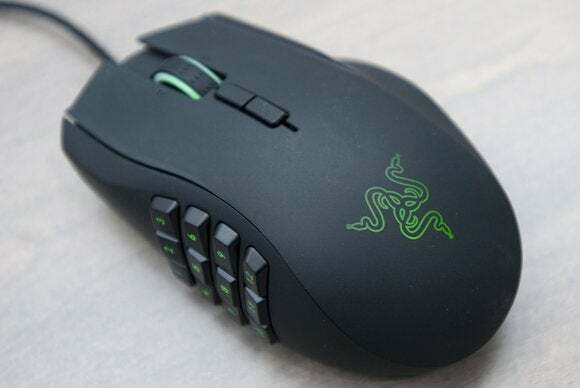 If you're looking for a new mouse, keyboard, headset, or any other PC peripheral, you won't want to miss Razer's 24 hour sale. Razer’s known for unveiling audacious new technology at CES—witness Project Christine and Forge TV as recent examples—and mopping up awards as a result. At CES 2016 the gaming hardware company won a Best of CES People’s Choice award for the sixth year in a row with its Razer Blade Stealth laptop, and to celebrate, Razer’s online store is slashing prices on almost everything it sells by a whopping 50 percent for 24 hours. You won’t be able to pick up a Razer Blade or any other systems at half-off, however. The offer only extends to Razer’s peripherals—which, honestly, is the vast majority of Razer’s product lineup and the way the company earned its reputation with gamers in the first place. There are a few more caveats. The discount only applies to a single item, and you’ll need a Razer ID linked to Razer’s Insider forum to participate. Information on how to set that up can be found in this Razer Insider post, where you’ll also be able to generate a sale code for the discount once you’re ready to rock. That code won’t work until the sale kicks off at 9 p.m. Eastern/6 p.m. Pacific time. While the offer lasts for 24 hours, Razer’s warning that “stocks are finite and are expected to go fast,” so if you have your heart set on a particular mouse, keyboard, headset, or mousepad that lights up with 16.8 million customizable colors, it’s probably smart to snap it up sooner than later once the chosen hour hits. You won’t find Razer’s PC hardware on such steep sale very often. Just be sure to keep an eye on shipping costs, which could tarnish the allure of the sale depending on what you're buying—if the 50 percent discount drops your order total under $50, you'll have to plunk another $14 down for shipping.